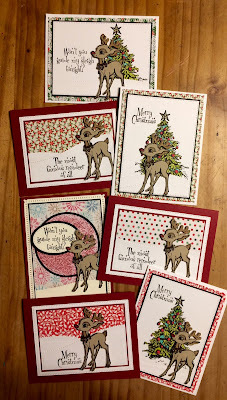 I always seem to wait until the last minute to get my Christmas cards done...I told my husband I SHOULD just make one a week and put them away, but that's never going to happen! 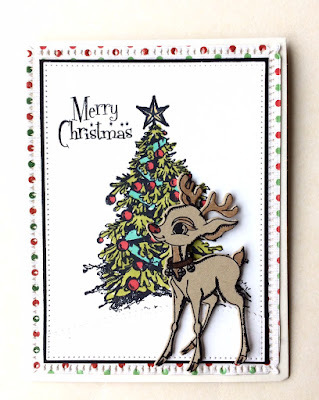 Every year the amount of cards we receive is about 1/3 of what I send out, in the day and age of technology and the cost of postage, I don't blame people for going that route! 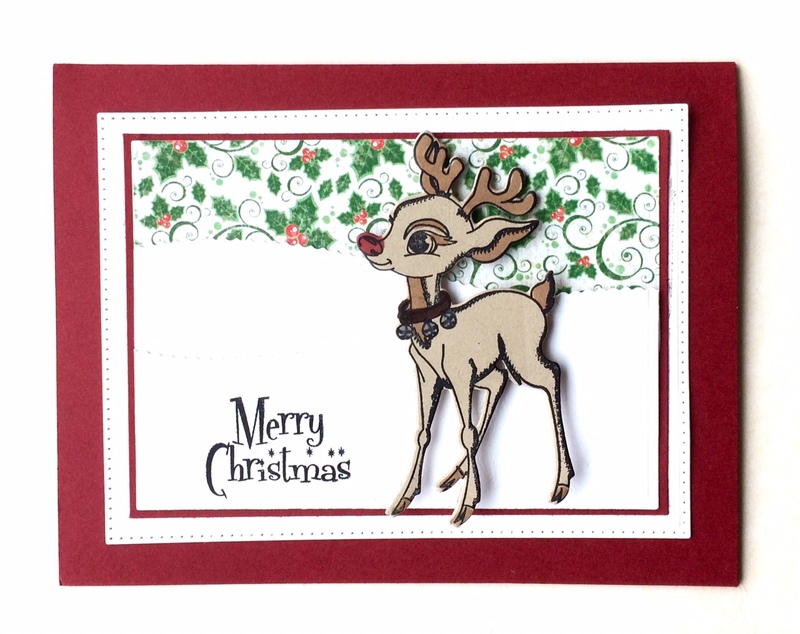 Normally I do not create more than one of any card I make, I learned my lesson years ago, and don't generally mass produce card anymore. This year is the exception, as I created a variety of Christmas cards using North Coast Creations Reindeer Die and Rudolph stamp set along with some various dies and pattern paper from Our Daily Bread Designs. A few of my cards also used the ODBD O Christmas Tree stamp set. Here are a few single photos and then a group photo, as I forgot to take the other ones, since I was in a hurry to drop them in the mail this past Monday. 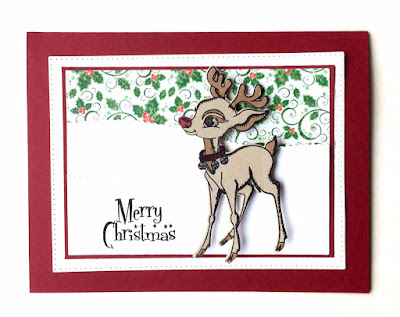 Love your cards!...and that reindeer is just so cute! Merry Christmas!